Show me your Halloween pics! Are you decorating? Planning your costume? SHARE THE SPOOPY!!! Want a Fang smiley Pride t-shirt, Minions? It’s fundraising time! 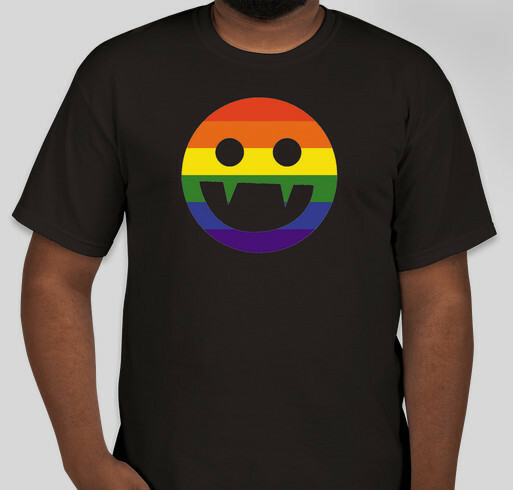 Be FANGtastic: Buy a rainbow Fang “Chronicles of Vladimir Tod” t-shirt & support LGBTQ+ youth!